The team won the the Gracious Professionalism Award, which emphasizes the value of others and respects individuals and the community. Members of the Lenape Regional High School District’s Storm Robotics Team in Detroit. 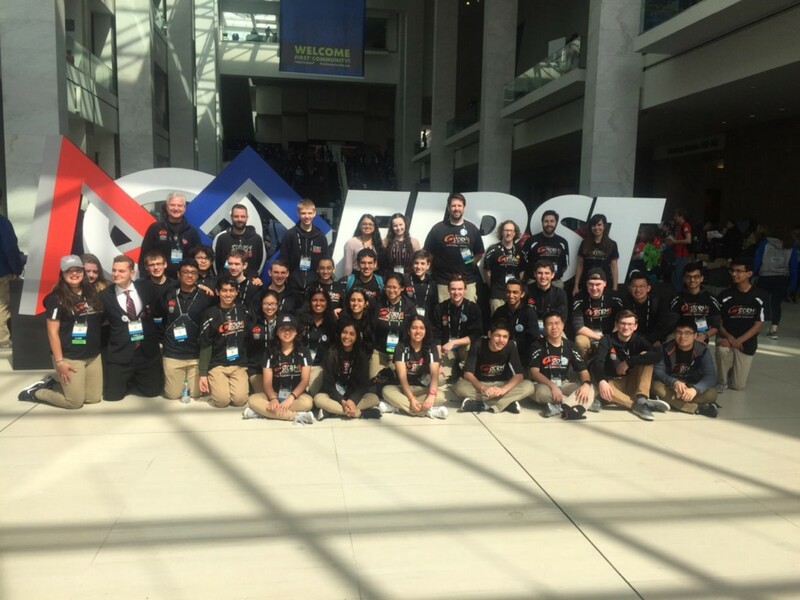 The Lenape Regional High School District’s Storm Robotics Team took home the Gracious Professionalism Award at the FIRST Robotics Championship, held recently in Detroit. The nearly 40-member team, comprised of students in grades nine through 12 from both Lenape and Cherokee high schools, continued what district officials describe as season-long streak of impressing judges off the field with its community service, outreach events and positive attitude. According to the district, LRHSD’s Storm was one of only three teams — out of a field of about 450 — to receive the Gracious Professionalism Award. Judges distribute the award, which is sponsored by Johnson & Johnson, to one team in every two divisions. The term “Gracious Professionalism” was coined by Dr. Woodie Flowers, FIRST Distinguished Advisor and Pappalardo Professor Emeritus of Mechanical Engineering, Massachusetts Institute of Technology. Leading up to the FIRST Championship, Storm won the NASA-sponsored Engineering Inspiration Award at both the district and regional levels. This award also recognized the team’s outstanding success in advancing respect and appreciation for engineering within the LRHSD and surrounding community. The team’s community service activities have included producing a crayon designed for youth lacking fine motor skills; volunteering to help with LRHSD community events, especially those that engage younger students in STEM; and establishing the new Storm for Storm Relief campaign. This year, the team embarked on this campaign to help the victims of the hurricane in Puerto Rico. Members plan to continue supporting these victims and others in need of assistance after natural disasters. Outside of the school district, the Storm Robotics Team is sponsored by Lockheed Martin in Moorestown, Comcast/NBC Universal and the team’s parent group. These sponsorships make it possible for the team to not only enter competitions, but to also perform outreach and service activities. This year marked Storm’s third trip to “worlds,” the first since 2013. The team finished 20 out of the 68 teams in its division. Team ranking was largely determined by the performance of each team’s robot to accomplish a series of tasks, which are outlined prior to the start of the season.